Are you or has someone that you love become a victim of Mesothelioma? In the State of Illinois, people suffering from asbestos-related injuries such as mesothelioma have a legal right to recover certain elements of damages, including lost earnings, medical expenses, pain and suffering, disability and disfigurement. At the law office of Goldberg Weisman Cairo, the finest Chicago Mesothelioma lawyers team up with the most highly qualified professional witnesses in the country to ensure that our clients’ rights are fully protected and that they receive maximum compensation. If you are looking for a Chicago mesothelioma lawyer to handle a claim pertaining to asbestosis, mesothelioma or other injuries related to asbestos exposure, you need to look no ruther than the trusted attorneys at GWC. 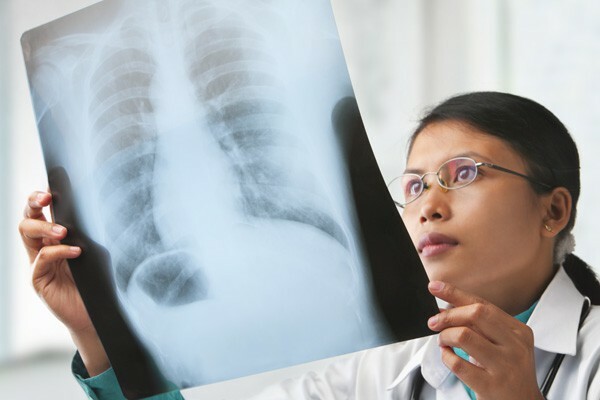 What Are The Signs Of Mesothelioma? The first symptoms of asbestos exposure might not occur until decades after the exposure occurred. Because of the unique nature of these types of cases, an experienced asbestos attorney is an essential element to a successful asbestos exposure claim. GWC’s Chicago mesothelioma lawyers rank among Illinois’ elite in this area of practice. Asbestos usually enters the body by way of inhalation (breathing it in). Over time, asbestos inhalation causes a buildup of deposits on the air sacs in the lungs. When the body’s immune system recognizes the foreign asbestos particles, it tries unsuccessfully to remove them. This process causes scar tissue on the lungs that lessens air-to-blood exchange, which often results in chronic shortness of breath (asbestosis) and/or restricted blood flow to the heart. It is not uncommon for a victim of asbestos exposure to ultimately experience total heart or lung failure. Perhaps the most aggressive form of asbestos-related illness is mesothelioma – a type of cancer that can spread quickly from the lungs to other parts of the body, and is usually fatal. The people most subject to developing complications from asbestos exposure are those who come into contact with it by way of their employment. But this dangerous substance can even have devastating effects on the families of these individuals as it can be transmitted through repeated contact with another person’s work clothing. It is essential that these factors be taken into account in prosecuting an asbestos exposure claim. Not all attorneys are sufficiently knowledgeable about asbestos cases to recognize such details, but the attorneys at GWC are intimately familiar with the ins and outs of these often complicated cases. In the State of Illinois, people suffering from asbestos-related injuries have a legal right to recover certain elements of damages, including lost earnings, medical expenses, pain and suffering, disability and disfigurement. At the law offices of Goldberg Weisman Cairo, the finest lawyers team up with the most highly qualified professional witnesses in the country to ensure that our clients- rights are fully protected and that they receive maximum compensation. If you are looking for an Illinois attorney to handle a claim pertaining to asbestosis, mesothelioma or other injuries related to asbestos exposure, you need look no further than the trusted injury attorneys at GWC. To learn more about our services, call us today at 1-312-464-1234 or reach online 24/7 via our “Live Chat” option or simply fill out our “Free Case Evaluation” form and we will contact you shortly after we receive your inquiry.